The Shiromani Akali Dal (SAD) today submitted a list of false politically motivated cases registered at the instance of Congress leaders in Gurdaspur parliamentary constituency to Punjab police chief Suresh Arora and asked him to get all these cases examined so that justice could be served to the victims of Congress repression.The delegation, which included Dr Daljit Singh Cheema, Bikram Singh Majithia, Suchha Singh Langah and Lakhbir Singh Lodhinangal, told the DGP that Congress leaders were misusing the police force at the lower level to get cases registered against their political opponents. They gave various examples of how attempt to murder cases had been registered in Dera Baba Nanak, Gurdaspur and Batala assembly segments without the occurrence of any serious injury. The leaders also named a few SHOs including Makhan Singh and Tarsem Singh who they said were booking people recklessly in false cases at the instance of Congress legislators and leaders. Mr Bikram Majithia also brought two cases other than those pertaining to Gurdaspur parliamentary constituency to the notice of the DGP. He said a serving army jawan had been dispossessed of his land in Tarn Taran by supporters of Congress legislator Ramanjit Sikki. He said in another case a ward of a freedom fighter had been tortured in police custody for filing an application regarding encroachment of a pond in his village at the instance of Gidderbaha legislator Amarinder Raja Warring. 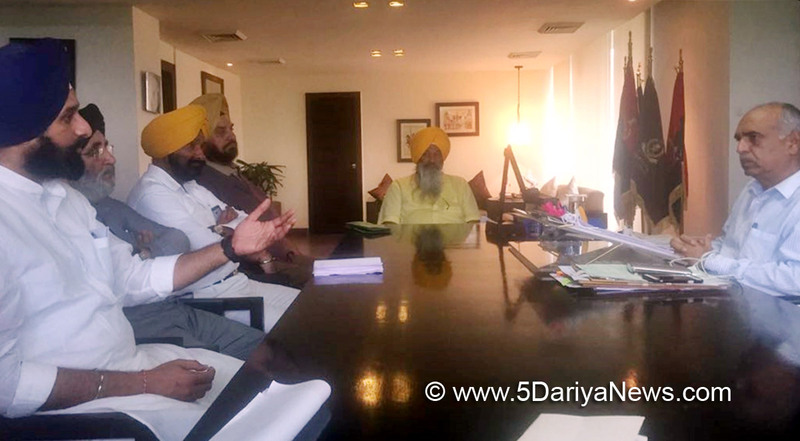 He asked the DGP to ensure justice in both cases.DGP Suresh Arora gave a patient hearing to the SAD delegation and assured it that he would get all the 50 odd cases of Gurdaspur constituency which had been brought to his notice looked into immediately.